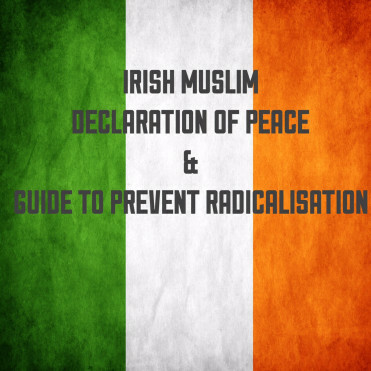 On Sunday 26th July 2015 IMPIC has launched the ” Declaration of Peace & Guide to prevent Radicalisation” during the protest against ISIS on O’Connell Street. 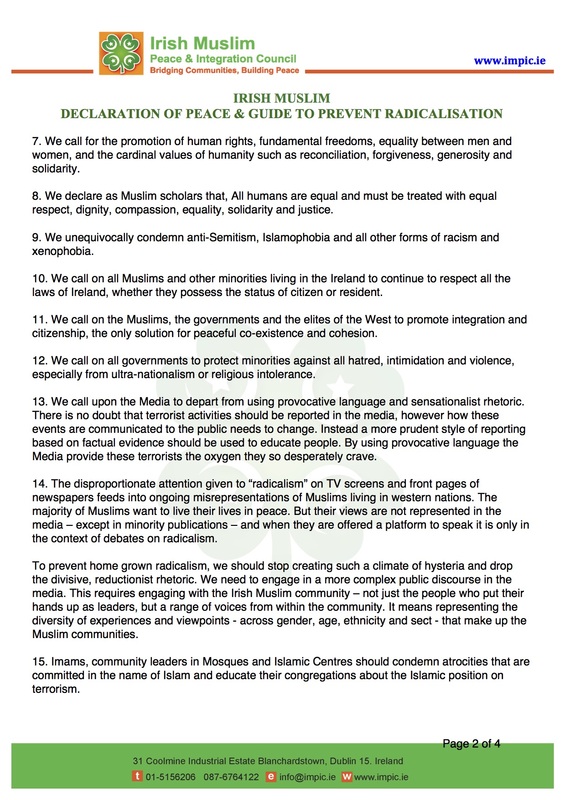 In the “Irish Muslim Declaration of Peace & Guide to prevent radicalisation” the signatories highlight the importance of peaceful co-existence and the significance of preventing extremism in our Society. 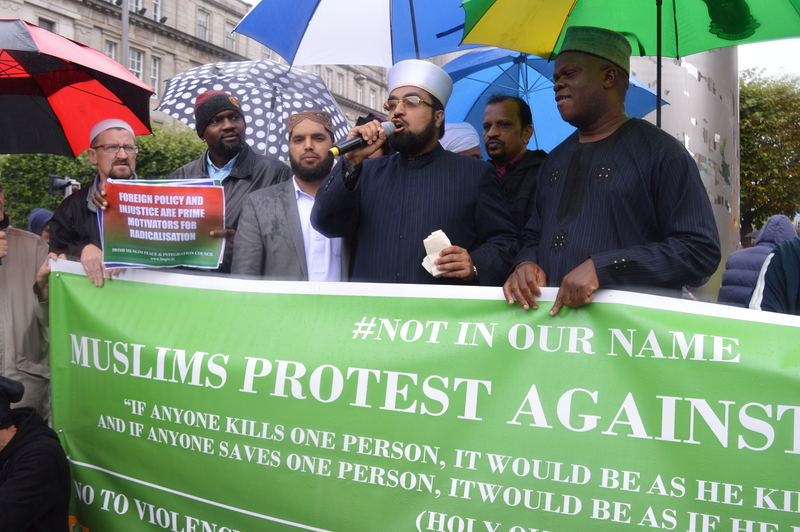 Shaykh Dr. Umar Al-Qadri, Imam Monsur Somidet, Imam Sajjad Ahmed, Brother Dritan Kurtij and Sister Kashmira Zahoor spoke at the protest. 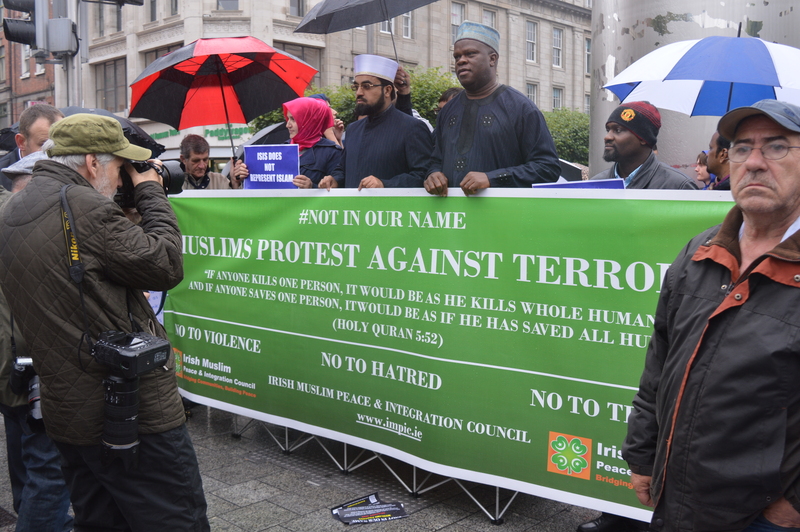 Members from different ethnic communities and faith came together to protest against extremism and terrorism in the name of Islam. 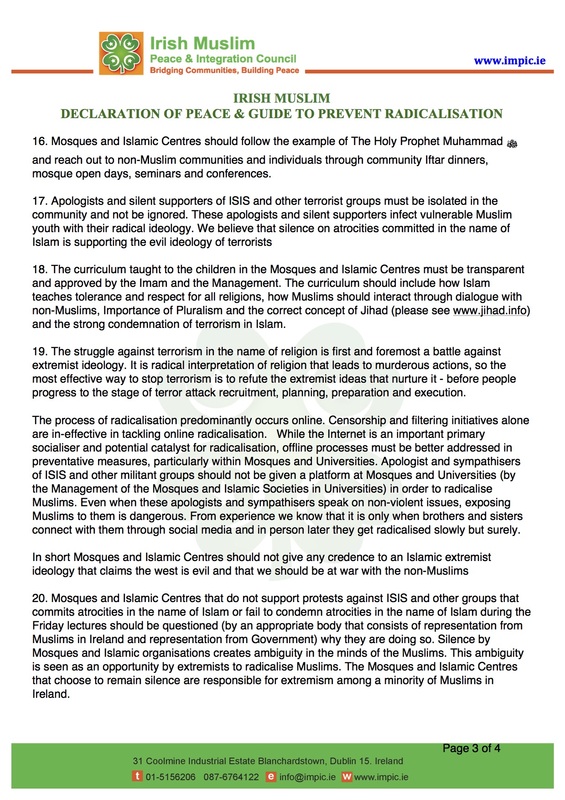 Just wanna show my support for your Imam, he appears to be a really lovely man and is focusing extremely hard on helping the world see that islam is a peaceful religion. Thanks for being fantastic guys! 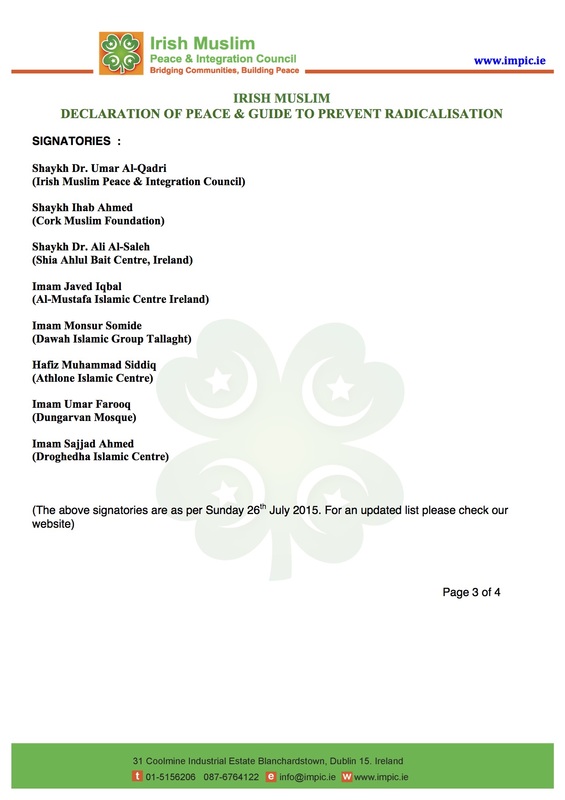 This is just a quick email to say thank you for organising your recent ‘not in my name rally’. While you and I and never going to agree on many things, i am happy that we agree on peace. again, thank you for the effort you have made and although your turn-out possibly wasnt as high as hoped, i wish you all the best for your next one. 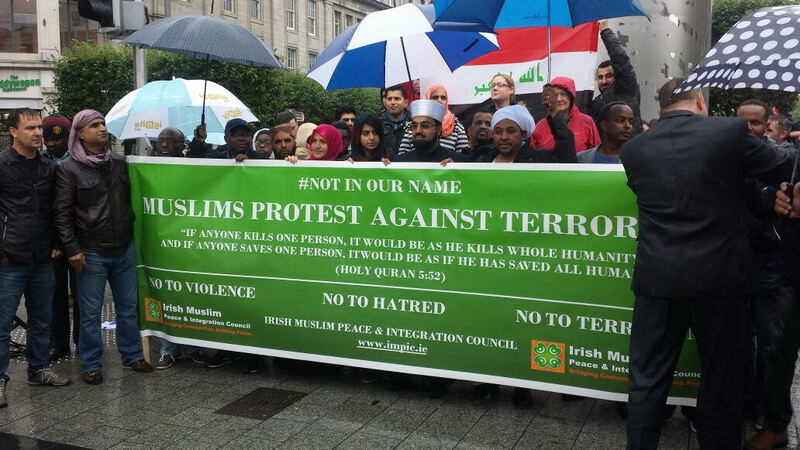 I was in the city centre yesterday and saw your rally. I just wanted to say how impressed I was with what you are doing. I think it is so important. I have just read your Declaration, and am doubly impressed. You give me great hope. 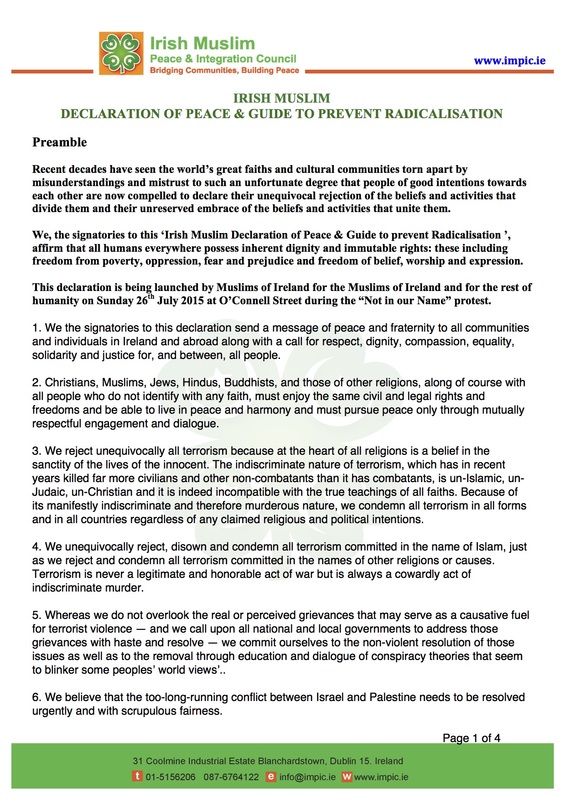 As a Christian (Catholic), I support everything in your Declaration. 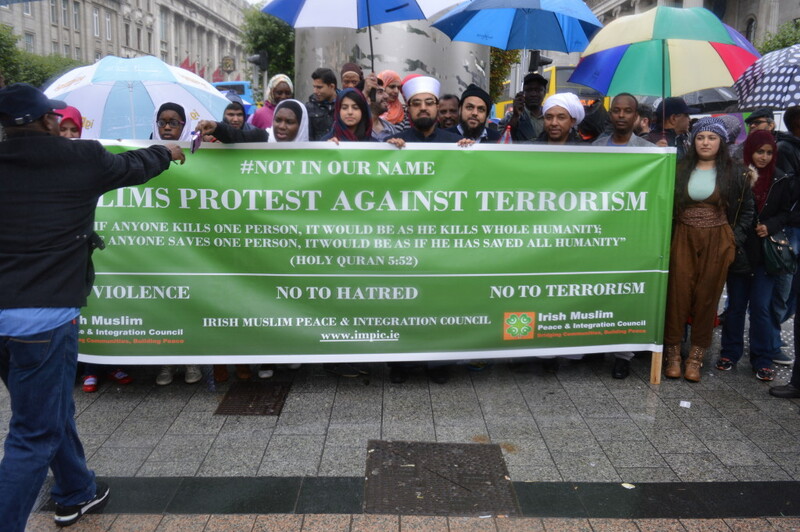 If there is any event in the future for a coming together of different faiths (and people of goodwill who may not belong to any), I would be proud to stand with you against terrorism and for peace. Please let me know.